Mario Andretti (standing) with his twin brother, Aldo. All photos courtesy World of Speed Collection. Even among those who don’t follow racing, and nearly two decades after his retirement from the sport, Mario Andretti remains a household name in the United States. That kind of recognition speaks volumes about his achievements during five decades spent behind the wheel. 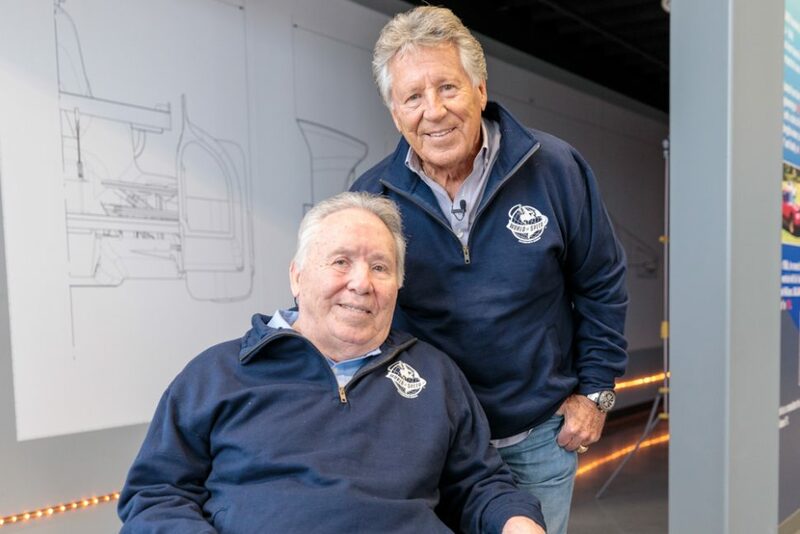 On March 23, the World of Speed Motorsports Museum in Wilsonville, Oregon, will debut Mario Andretti: Racing Royalty, an exhibit honoring the driver and his amazing versatility. 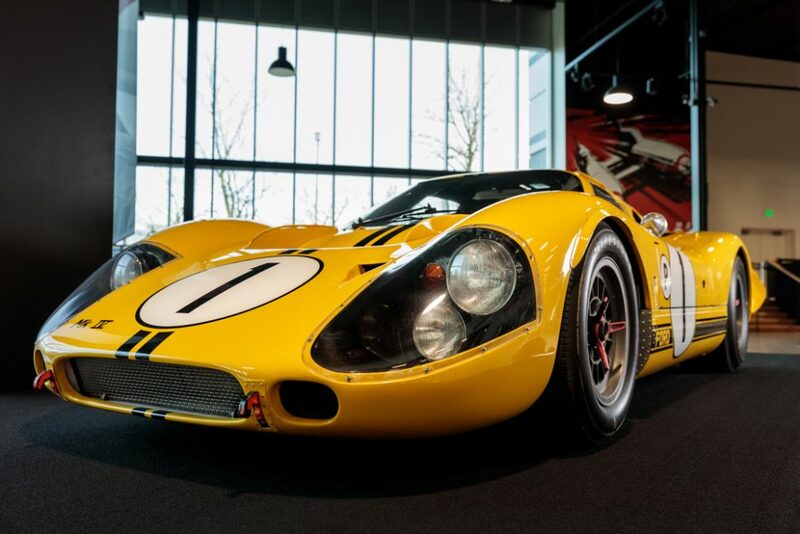 Chassis J4, the Ford GT40 Mk IV driven by Andretti and Bruce McLaren to a win at the 1967 12 Hours of Sebring. Born in Montona, Italy, in 1940, Mario Andretti emigrated to America with his family in 1955. Just a few years later, Mario and his twin brother Aldo had built a 1948 Hudson Hornet into a Sportsman class modified race car, campaigned at tracks near their home in Nazareth, Pennsylvania. Even in his early years, Mario demonstrated a natural ability to win races, racking up 20 Sportsman class victories in his first two seasons. 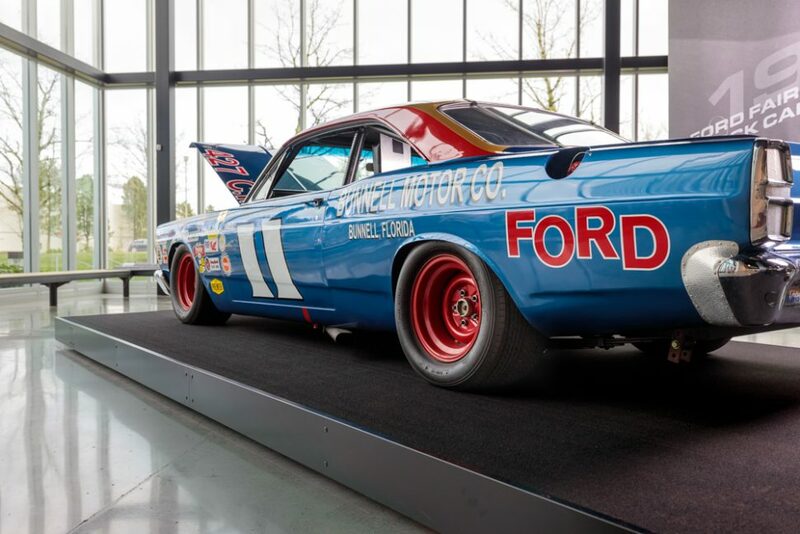 Andretti’s 1967 Daytona 500-winning Ford Fairlane. Midget cars came next, followed by sprint cars and Indy roadsters. In 1965, Andretti earned his first Indy Car win at the Hoosier Grand Prix and earned Rookie of the Year honors at the Indy 500 (a race he’d win in 1969, and, unofficially, in 1981 as well). By 1967, Andretti was racing NASCAR Cup cars and sports cars, too, winning both the Daytona 500 and the 12 Hours of Sebring that same year. 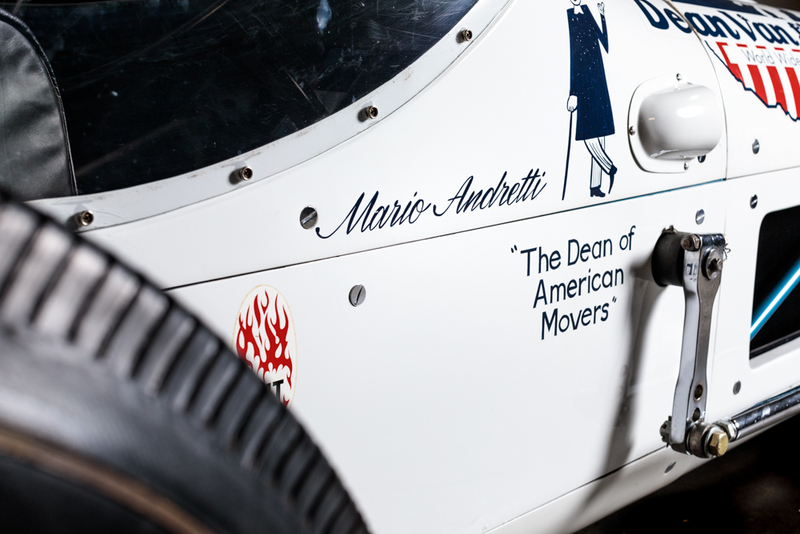 Detail of Andretti’s 1964 Kuzma Indy Roadster. His first Formula 1 start came in 1968, though his primary focus remained Indy Cars. Even after signing a contract in 1971 to race for Scuderia Ferrari in F1, he split his time between the two series, delivering a win for Ferrari at South Africa, in his very first start with the team. It wasn’t until 1975 that Andretti committed to F1 full time, returning to race the occasional event in North America, and in 1978 — driving for John Player Team Lotus — Andretti captured the F1 world championship. That puts Andretti in a very exclusive club of drivers who have won the F1 World Championship and the Indy Car Championship (a list that includes Andretti, Emerson Fittipaldi, Nigel Mansell, and Jacques Villeneuve). He’s one of three drivers (with Dan Gurney and Juan Pablo Montoya) to win races in F1, Indy Car, and NASCAR, and Andretti is the only driver in history to win the F1 driver’s championship, the Indy 500 and the Daytona 500, an achievement that isn’t likely to be duplicated any time soon. The exhibit also features video footage of Mario, Aldo, Michael, and Marco Andretti, as well as interviews with racing notables, relating stories about Andretti and his legacy. Mario Andretti: Racing Royalty runs through November 2; for further details, visit WorldOfSpeed.org.